Hi there! And so it seems like we have been in search of the best Chinese restaurant ever since our meal at One Ocean Seafood Restaurant. heh heh.. 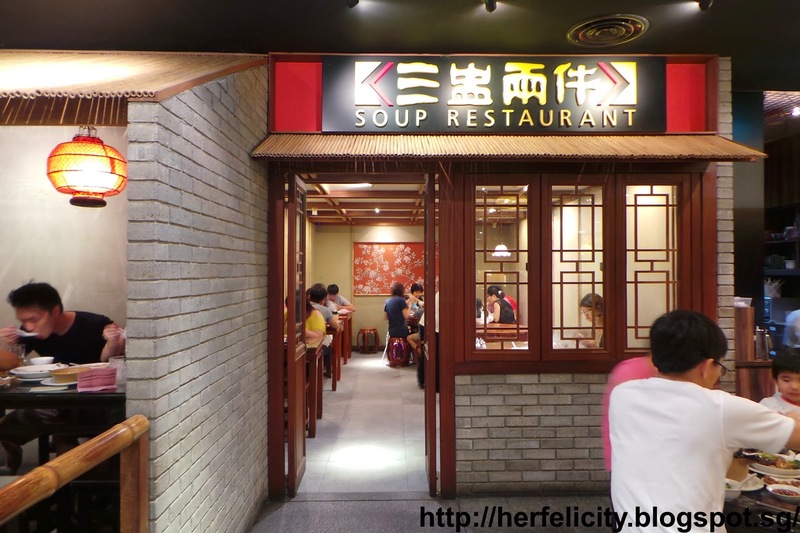 Check out our meal at Dian Xiao Er as well! It was a tough decision as we were contemplating between Pu Tien and The Soup Restaurant. We thought that Pu Tien's dishes were more focused on bamboo clams and so we chose the latter in the end. Nice interior with rustic wooden chairs and tables to give a very oriental feel! Braised peanuts as appetizers before the main course. It's chargeable so don't waste. LOL! Anyway, everyone loves these addictive peanuts. Basically, similar to Korean BBQ? You wrap the chicken with a slice of lettuce and topped it with their specially made Ginger sauce. One of her favourite food that will make her eyes go shining like a diamond. Haha! Assorted vegetable with mushroom and beacurd skin. This is what the girl call 'taste of home'. Love the big and juicy mushroom especially! Special order for the sick girl as she was unwell then. Glad that she like it even though she hates black chicken. Haha! Serving was a little too soup though. This was the girl favourite dish of the night. Prawns were juicy and if you like something spicy, this would be a perfect combination together with the tofu. The gravy was really good and it would be perfect to dipped with mantou. Sounds similar like our chilli crab eh? It was kinda similar really. "Too bad, no mantou" - The girl 'complained'. LOL! Overall, we would prefer Dian Xiao Er's ambience. Tables were more spaced out at Dian Xiao Er for the ease of dining.